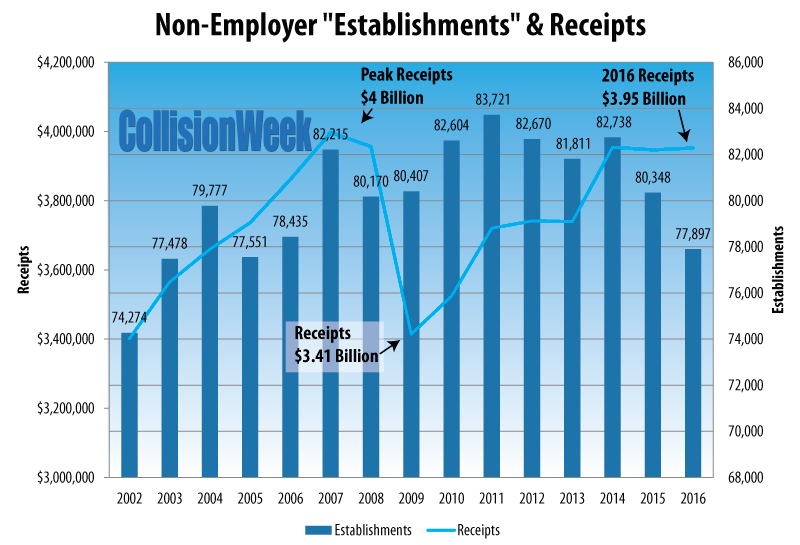 The number of small collision repairers in the U.S. without employees, and their sales, declined in 2016, but reported sales remain near record. As the collision repair industry continues to grow following the recession as evidenced by our reports detailing the number of independent repair facilities with payroll and collision repair production, the number of smaller repairers, those without payroll, remains at high levels across the U.S. according to the latest government statistics. In this report, we take a look at those individuals who have reported body repair income on their tax returns, but do not have employees and payroll.